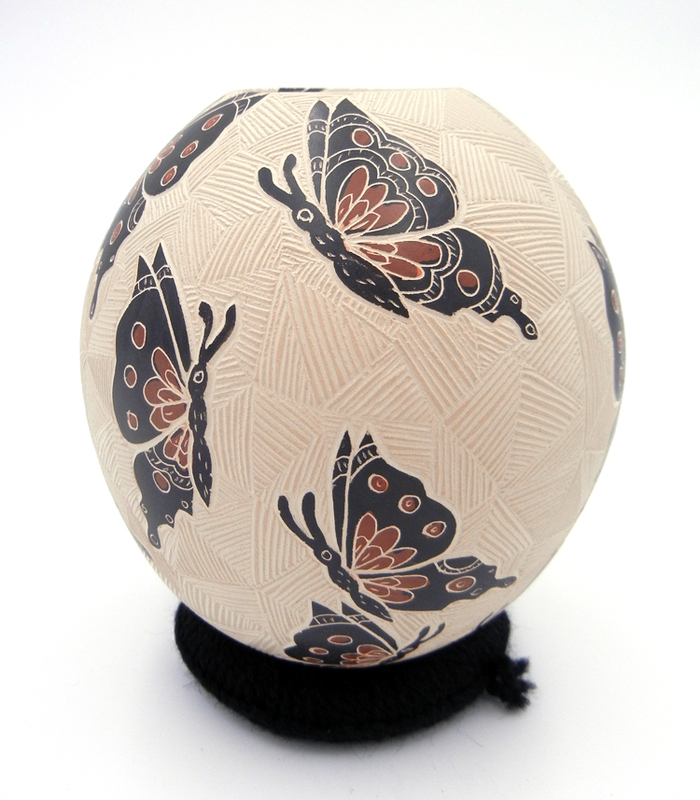 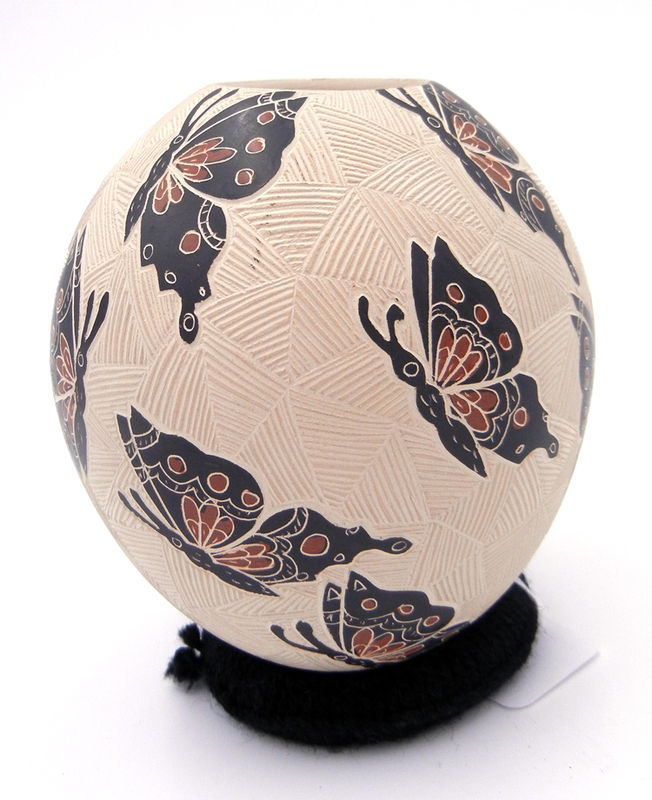 Featuring a buff base, this beautiful Mata Ortiz piece by Leticia Ledezma Loya showcases a globular shape and multiple etched and hand painted butterflies along its surface. 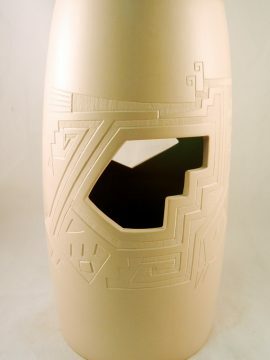 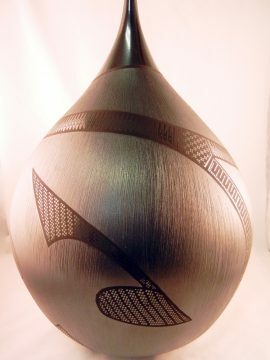 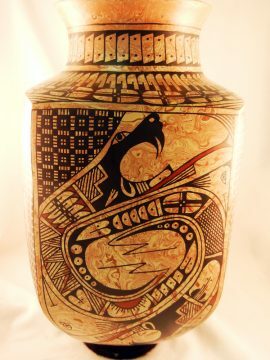 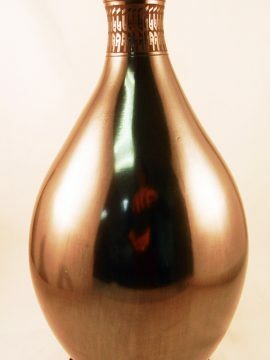 The buff portions of the jar are etched with fine lines, which create larger geometric shapes, while each etched butterfly is painted red and black. 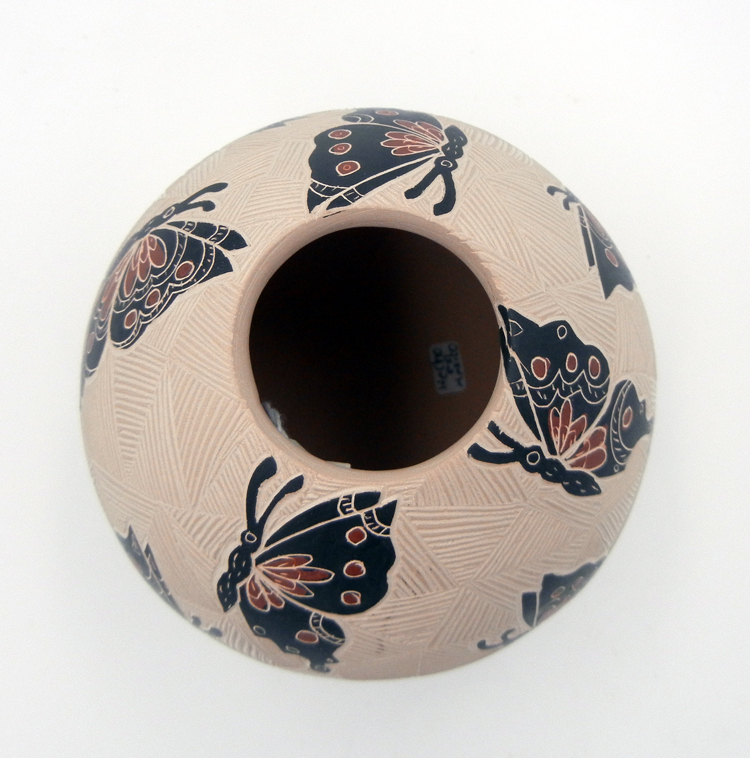 5″ tall x 4 1/2″ wide. 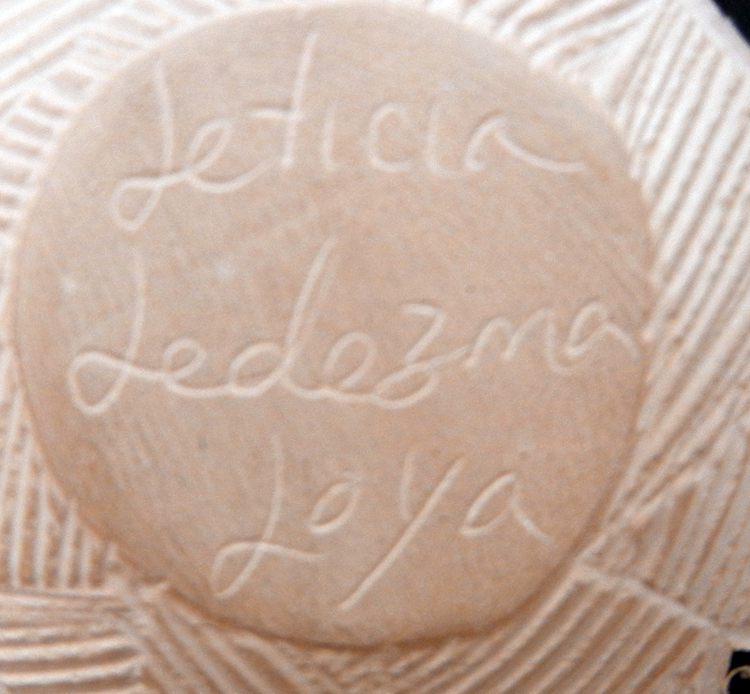 Piece comes with pottery ring.